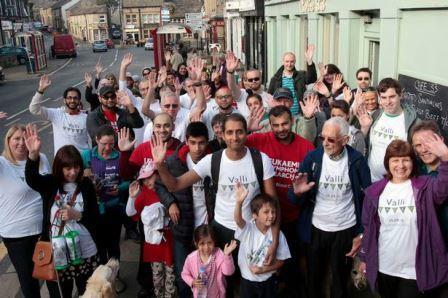 Moin Valli of Valli Opticians (centre front) leads off the fund-raising walkers on the Valli Rally from his shop in Meltham.He finally did it.The family of award-winning Huddersfield volunteer Kamal Aftab, who died in August last year of acute myeloid leukaemia, are celebrating after his dying wish to raise £50,000 for charity came true.The JustGiving page was Kamal’s legacy, along with all his other charity work.As the popular optician’s friends and family marked what would have been his 33rd birthday on Wednesday, a cause for celebration was on the cards. The appeal has now reached £65,705 – more than £15,000 above Kamal’s original target.His brother Farooq said: “I was absolutely gobsmacked when I saw we had exceeded the target by so much.“Kamal would be so pleased, but this won’t stop our work and campaigning to support Bloodwise and hopefully one day find a cure for cancer.”Bloodwise funds research into blood disorders such as leukaemia, lymphoma and myeloma. Examiner Community Awards nominee Kamal Aftab – Valli Opticians, Honley. Farooq explained: “We have continued to fundraise tirelessly since Kamal died.The opticians where he worked, Valli Opticians, have arranged many events to raise thousands of pounds.Farooq added the family will soon close the JustGiving page, but plan to continue working and fundraising for the charity.“Every penny brings us closer to beating cancer”, he added.Kamal began fundraising for Bloodwise while he was in hospital, as he attempted to walk a marathon in his ward. 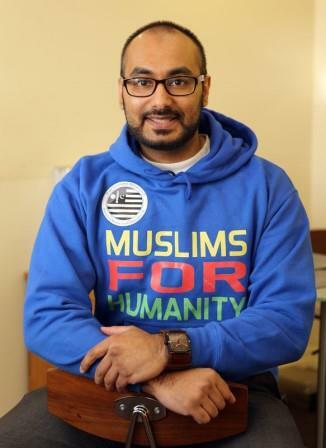 Share the post "Late Huddersfield community worker Kamal Aftab’s appeal exceeds 50k target on his birthday"